Adobe Discontinues Flash support for Mobile Devices: Steve Jobs Vindicated? One of the biggest gripes against the iPad and iOS devices in general is the lack of Flash support, and the availability of Flash on Android an advantage for the latter. Flash powers thousands of web games, and many sites use Flash for media content, such as videos – as in the case of YouTube. Apple’s refusal to run Flash natively was most evident when it launched the iPad in 2010, where with a bigger screen for web browsing, sites that run Flash inevitably suggest that the latest Adobe Flash Player version be downloaded. This in turn has spawned apps that attempted to circumvent such restriction and leaving iDevice owners to resort to jailbreak to be able to run Flash on their devices. Steve Jobs’ contempt for Flash and the word war between him and Adobe is one of the biggest standoffs in tech. Jobs has characterized Flash as a battery hog, riddled with security holes and a product of lazy developers. Adobe likewise lashed at Jobs for not supporting Flash on the iPad, claiming that Adobe advocates openness versus Apple’s closed, proprietary systems. Jobs was so incensed, in fact, that he personally wrote an essay in 2010 on why Apple will never run Flash on its mobile devices. In a startling turn of events, Adobe has now announced that it will stop developing Flash for mobile devices and will instead focus aggressively on pushing HTML 5, the new standard for mobile browsing platforms. …However, HTML5 is now universally supported on major mobile devices, in some cases exclusively. This makes HTML5 the best solution for creating and deploying content in the browser across mobile platforms. We are excited about this, and will continue our work with key players in the HTML community, including Google, Apple, Microsoft and RIM, to drive HTML5 innovation they can use to advance their mobile browsers. 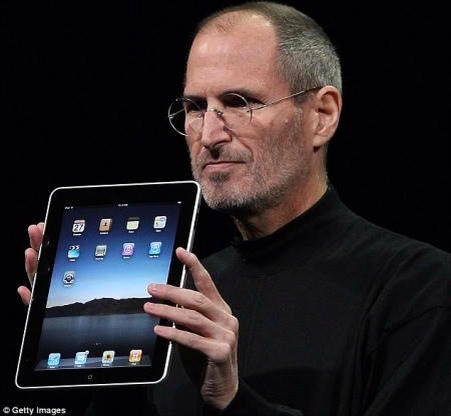 It appears that Steve Jobs’ persistent refusal and stand on Flash, coupled with the robust sales and ever amassing popularity of iPads and iPhones won out in the end. Adobe will continue developing Flash for PCs.